US National Security Adviser John Bolton on Monday had a message for Iran’s Supreme Leader, Ayatollah Ali Khamenei, who continues to verbally attack US leaders. “This week, Iran marks the 40th anniversary of the Islamic Revolution, and what a 40 years it’s been. Tyrannizing its own people and terrorizing the world. 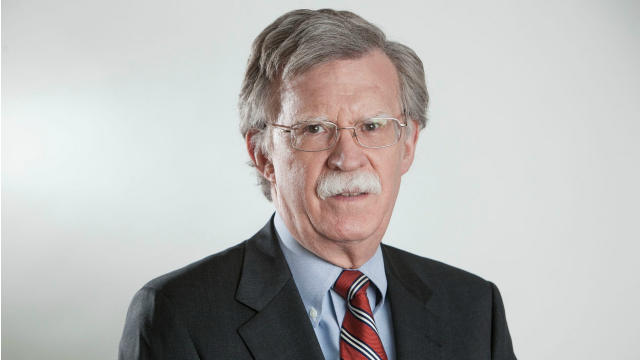 Iran continues to seek nuclear weapons, to intimidate peaceful people all around the globe and ballistic missiles to use as delivery systems,” Bolton said in a video posted by the White House. 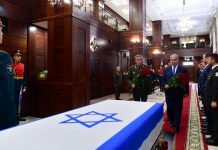 “Iran under the Ayatollahs remains the central banker of international terrorism, and its conventional military forces are all over the Middle East: In Yemen, Iraq and Syria. Perhaps worst of all, the people of Iran have suffered grievously. Right now, unemployment is at record levels, inflation is at all time highs, the Iranian currency has gone through the floor,” he continued. “So, Ayatollah Khamenei, for all your boasts, for all your threats to the life of the American president, you are responsible for terrorizing your own people and terrorizing the world as a whole. I don’t think you’ll have many more anniversaries to enjoy,” concluded Bolton. I love it!!! finally an administration with the courage to confront REAL threats and issues!!!! my comment too anti iran?? John Bolton is great. He is the perfect candidate for the National security adviser, at this perilous time in history. B”H we have someone that gets it. During the last administration we had a terrible reckless team in power, only fueled by hardened leftists like Jerry Nadler, Kristen Gillibrand, & Cory Booker.